The southern third of Argentina is a sparsely populated, broad, dry, treeless plain where sheep ranching is the main industry. 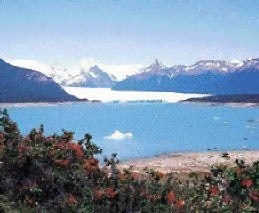 Ecologically speaking, there are four areas of special interest: the Lake District of San Carlos de Bariloche (click here for programs), with its Andean ski slopes, lake and densely forested Nahuel Huapi National Park; the wildlife reserves of Peninsula Valdes and Punta Tombo on the Atlantic Coast; Glacier National Park in the mountains near Lake Argentina (El Calafate); and Ushuaia, the "southernmost city in the world," on the island of Tierra del Fuego. Visits to the more southern locations should be scheduled from spring to autumn, November through March. A schedule of the wildlife migrations to Peninsula Valdes and Punta Tombo is featured below. 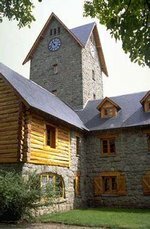 Rates include a half-day Scenic Bariloche excursion with an English-speaking guide. Rates are not valid during Easter Week, JUL & AUG, Christmas/New Year. For Llao Llao & Arelauquen the tour is via private car/van with a guide. On the Atlantic Coast, a pancake of sandy land juts into surrounding protected bays warmed by the water of Golfo Nuevo, an ideal breeding ground for colonies of birds and mammals. 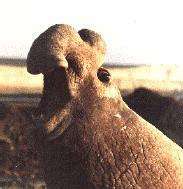 Cavorting sea lions breed in protected rookeries called loberias; 1600-pound sea elephants sunbathe on a long, pebbled finger of beach called Caleta Valdes, and Right Whales come to breed in Golfo Nuevo. SCUBA divers can touch and tickle the 70-foot leviathans. 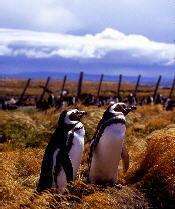 Eighty-four miles south of Trelew is Punta Tombo, filled with three million Magellan Penguins (Sphaniscus Magallanicus). The three-day tour includes a full-day excursion to Peninsula Valdes for whale-watching from the shore, bird-watching and viewing the sea lions and elephant seals. The four-day tour also includes a full-day tour with lunch to the penguin colony at Punta Tombo and a stop at the Welsh town of Gaiman for tea. Quiet Calafate is the only town of any size on Lake Argentina with one paved street and a few modest hotels. It is best reached by air from Buenos Aires, Bariloche or Ushuaia. In Glacier National Park, an area of extreme natural beauty, you will view the awesome Perito Moreno Glacier, the only glacier in the world that is still growing. Its blue color is attributed to its age (30,000 years), and is so big that it completely blocks two small arms of the lake from their natural outlet through Iceberg Channel. For those wishing to see glaciers, we recommend the four-day tour which also includes a full-day boat trip with lunch on Lake Argentina to view the Upsala and Onelli Glaciers.